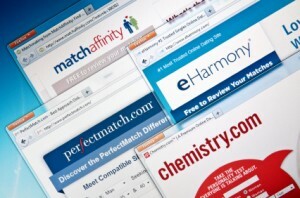 According to polls done by Reuters, out of the 54 million people who are single, 40 million have tried online dating. Chances are if you’re single and reading this, you have had, currently have, or soon will have an online dating profile. While I will always be a proponent for meeting people the old fashioned way, I have no objection to online dating—in fact, I think it’s a good thing. A lot of these sites offer thoroughly tested, algorithmic questionnaires for you to fill out that will apparently determine your compatibility with potential partners. My one piece of advice would be not to put all your eggs into one basket with these questionnaires. While they have been meticulously designed to maximize compatibility, we all know that love works in mysterious ways, and often requires more than the sum total of our likes and dislikes. So next time you’re on eHarmony, keep that in mind before you click to the next person. Contact Dr. Gluck at (212) 599-3195 for more information about his life coaching program. This entry was posted in Life Coach, life coach new york and tagged life coaching nyc, online dating by Dr. Errol Gluck. Bookmark the permalink.